Land and Stand! On a glacier in the heart of Denali National Park. Add a glacier landing to any scenic flightseeing tour for the opportunity to walk on the glaciers before they're gone. 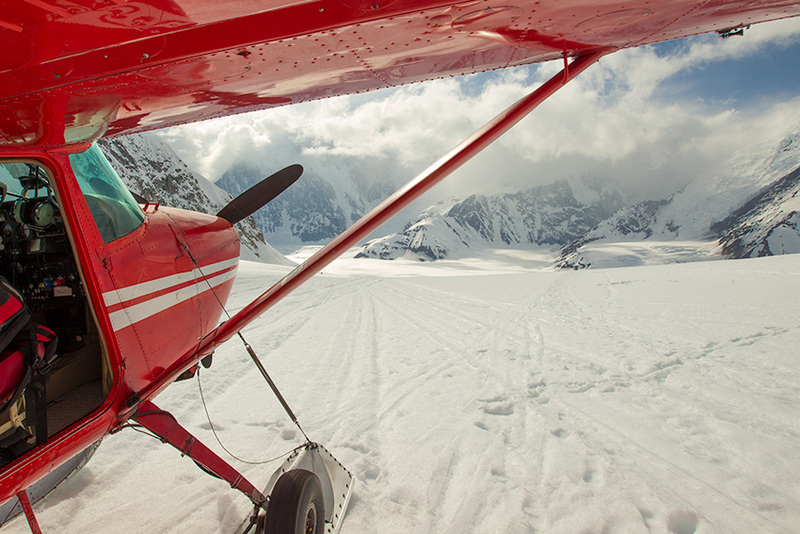 A truly spectacular way to cap off your scenic flightseeing adventure is to add a landing on the glacier to your flight. We recommend light jackets, sunglasses and your camera. We can add a glacier landing to any tour package. We land throughout the spring, summer, fall and winter, when weather and snow conditions permit. Glacier landings occur in Denali National Park, so a National Park Entrance Pass is required for passengers who don't already have one. We sell National Park Entrance Passes at our office. They are $10 for individuals, and are valid for entry into all national parks for seven days after purchase.